Silicone hydrogel, monthly replacement, multifocal contact lenses. 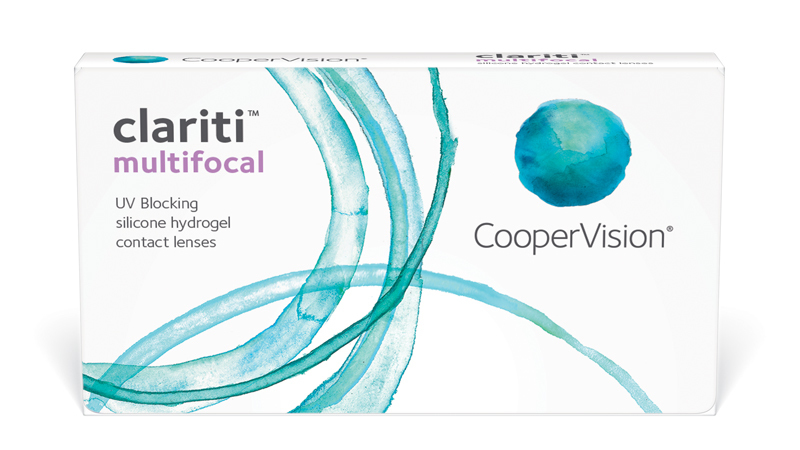 CooperVision clariti® multifocal lenses incorporate the right balance of oxygen transmissibility, non-surface treatment, high wettability, low modulus and high water content, producing a lens that provides optimal comfort and corneal health. clariti multifocal lenses feature AquaGen™ technology, a process that ensures continuous wettability throughout wearing time. The high 56% water content in clariti multifocal lenses combines with AquaGen technology to support excellent all-day comfort for your patients. clariti multifocal lenses’ optic zone geometry is fully progressive, providing a smooth progression between power zones. The aspheric back surface optimizes fit and centration, while a center near design gives you a simple fitting and high success rates. Large stabilized Distance and Near zones provide optimum vision distance and near. Talk to your presbyopic patients about the advantages of clariti multifocal silicone hydrogel, monthly contact lenses.